It’s just a little over a year since my now-husband got down on one knee and made me the happiest woman on the planet by asking me to be his wife. One three-letter word later and I soon became the busiest woman on the planet too. In less than a year we got engaged, bought a house, sold a house, and planned-slash-executed our dream wedding – and all while managing to keep our careers and sanity afloat. Or just about. Picking rings and clinking Champagne glasses at every left turn, never mind even planning the wedding itself... all of these things, while wonderful, actually require quite a lot of time and energy if you want to get them right. And trust me when I tell you that you want to get them right - wedding related mistakes are a lot more expensive than the regular run of the mill mistakes you make on a Tuesday. From the 'yes' to the 'I do' there are countless decisions that for some brides-to-be can feel like life or death, no matter how ‘chilled’ they may be every other day of the week. One of the less fun parts of having a say in your own engagement ring can be reconciling what you think you want with what’s in ‘the budget’. If you’ve never worn a diamond ring before how can you know what you want?! And if you don’t know what you want, how do you know how much money you want to spend on it? You probably won’t even know what ‘the budget’ is - making it super hashtag-awkward when your expensive taste guides you to the one ring that’s well shot of it. This is precisely why, at the beginning, I’d recommend that you forget about the money and focus on style instead (but maybe don’t repeat that exact phrase to your fiancé). Buying a diamond ring isn’t all that different from buying a pair of jeans. There are loads of different styles to choose from but not all of them will suit you. And, even when you find the style that suits, you have more options again: do you buy your skinny jeans for €20 in Penneys, for €50 in Topshop, splash out €250 at J-Brand or really break the bank with a pair for €1500 at Prada? The secret to finding your sparkler is all in the style: the shape you love and, more importantly, what suits your hands. Yes, spray-on skinny jeans look great on Gigi Hadid but will they look great on you? You’d be surprised to hear that not all rings suit all fingers: a dainty solitaire on my not-so-dainty digits just didn’t work no matter how many of them I tried. 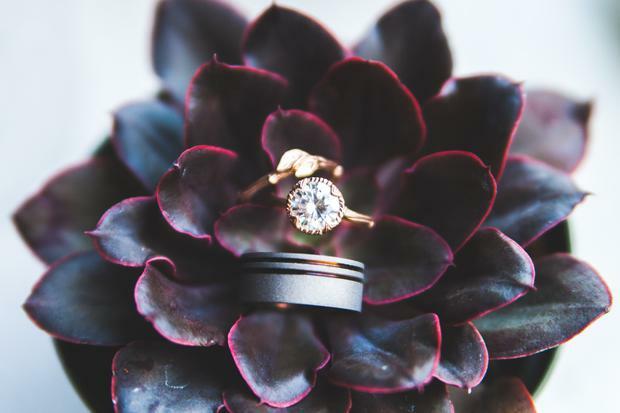 Once you’ve got a better idea of what style of ring you want it’s time to shop around to find out where you can get the very best ring for your budget. The goal is to get a stone with the highest carat (as big as possible!) with the fewest inclusions (as flawless as possible – this is ‘clarity’), with the clearest colour and the most symmetrical cut (these elements are what make a diamond sparkle). Unless you’re J-Lo it’s likely, that at some point on your diamond adventure, you’ll be faced with having to compromise on at least one of the 4 Cs. Personally I’d sacrifice carat first: I think you’re always better to have a smaller ring of better quality than a bigger ring that doesn’t sparkle. You can always have the diamond set a little higher and add a halo surround to make it look bigger but you can never make a dull diamond sparkle. One of the most valuable, and true to life, pieces of advice I was given when I got engaged is that no one really cares what brand your ring is nor do they ask where you’ve bought it. A diamond is impressive enough on its own – it doesn’t need a designer label to make it so. You might pay a premium for a pair of designer jeans, but it’s a waste of precious budget when it comes to engagement rings. There are lots of fantastic jewellers in Ireland with beautiful selections to choose from. Visit as many as you can and shop around. I bought my ring in Appleby Jewellers in Dublin who custom designed and created the ring of my dreams: a yellow cushion cut diamond with halo surround on platinum band with contrasting gold claws; but only after trying on a million and one different rings first. And, although I ended up buying my ring in a jeweller, I did consider other options too. As part of my process, I met with a bespoke diamond dealer – Peter Fitzpatrick at International Diamond Brokers in Dublin - who I would have happily worked with had I not already found my spiritual home in Appleby. Reputable diamond dealers can offer incredible value and are definitely worth consideration if you have a good recommendation. The other avenue worth exploring is the auction house and the two I looked at were Christies London and O’Reilly’s Auction Rooms in Dublin. You can view all of the pieces in their online catalogues and then organise a viewing if you find something you like. There’s great value to be had at auction – just make sure that the diamond has a verified GIA certificate and to get an expert opinion on the stone before you place any bids. Last but not least: just like it’s not advisable to go shopping with greasy hair and no make-up on, or to go food shopping when you’re hungry, it’s not ideal to go ring shopping with nasty nails. Don’t say you haven’t been warned.